Why do I need my bins cleaned? The bacteria such as Streptococcus, Staphylococcus, Listeria, E coli., salmonella, and tuberculosis constantly multiply in your trash cans creating a hazard to your home and your family. The cans will be sanitized to eliminate 99.9% of the bacteria. What if I don’t remember that I’m scheduled for service? We will send you a text or an email the day before your service as a reminder. Do I have to order service on all of my cans? No, when you order service just tell us which cans you want us to service. You will have to specify whether it is garbage or recycle can or both. Can I alternate or rotate my bins for each cleaning? If you select monthly service, you may designate when you would like to have a different can cleaned. 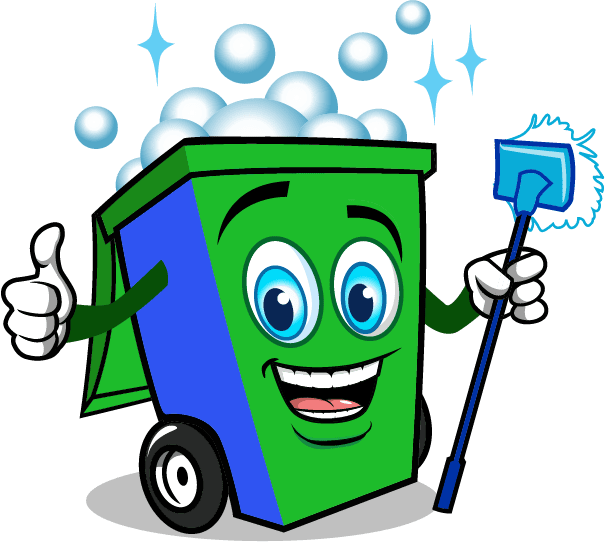 How often should my trash and recycle bins be cleaned? We provide three cleaning plans to meet your needs. For optimal sanitation, monthly service is best. Can I buy a service for someone else? Absolutely! It is a great gift for busy families with young children, grandmother and grandfather, a single mother, your neat freak best friend, a disabled person, or as a gift for the working woman. Just order on our web site under RESIDENTIAL SERVICE, give us a call at (844) Scrubby (727-8229) or email us at info@scrubadubbins.com to order your gift certificate. As long as your new residence is in our service area, your plan will follow you. If your new residence is outside our service area, we will prorate your refund. What if I am out of town and can’t put my garbage/recycle bins out? Just call or email us in advance and we will schedule an alternate date for cleaning. If you forget, no problem-call us when you return! Are there any special prices for certain services? We give discounts on pressure cleanings when you have service with us. We have a whisper wash that works fantastic on sidewalks, driveways, and decks. What is the refer a friend discount? When someone orders service and gives your name as the referral you will receive a free cleaning. There is no limit on the number of referrals you may have. What happens if my trash pick-up is running late? If your trash service isn’t picked up by 5 pm we will call or text you to reschedule at the next convenient time for you. While you prepay for any of our annual plans, there is no contract and you are not committed to continuing service. If at any time, you are unsatisfied with our service we will gladly provide a pro-rated refund! We stand behind our service! Yes we do. If for any reason you aren’t happy with our service simply call or email us and give us a chance to remedy the problem. If you want to cancel service just call us or email us at info@scrubadubbins.com to let us know you no longer want service. How will I know my bins have been cleaned? We will place a small business sticker on the front lid of your garbage can(s). What do I do if I bring my bins into the house on the day you are coming? Call us at (844) 727-8229 or email us at info@scrubadubbins.com and we will arrange another day for your cleanings. Can you clean my trash cans if they aren’t wheelie bins? 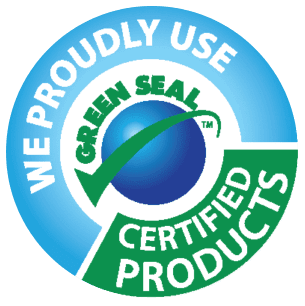 We can clean a standard 64-gallon plastic roll away trash and recycling cans. We cannot clean small recycling bins. Call us at (844) 727-8229 if you have questions about your bins. Where do you dump your water? Once the grey water is pumped back into our truck’s holding tank we dump according to EPA guidelines. Our grey water goes into the sewage system where it is processed at our local waste treatment facility. Your cans will get as clean as possible, but grime build up over time may take multiple cleanings for optimal results. Cans that haven’t been cleaned in years will require more cleanings before the problem areas are removed. Substances like paint, grease, oil, and tar are extremely hard to remove and may not come off even after multiple cleanings. If your trash bins or recycle bins are several years old, they will be sanitized and deodorized, but they may still have a slightly worn look. Please be realistic.